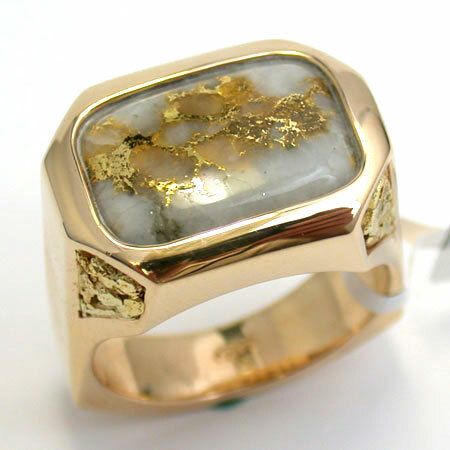 Distinctive look of Diamonds and Gold Nuggets. 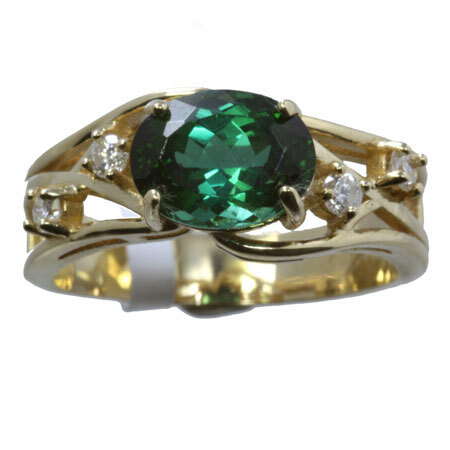 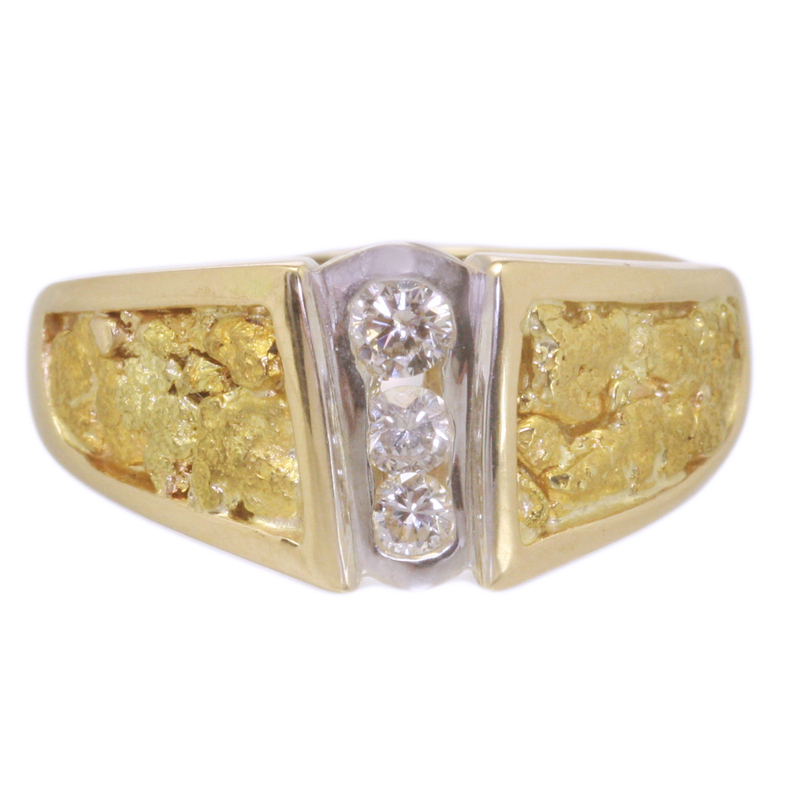 Yellow Gold Ring with wide panels of Natural Placer Gold Nuggets on either side of the channel holding three Diamonds, which are graduated in size. 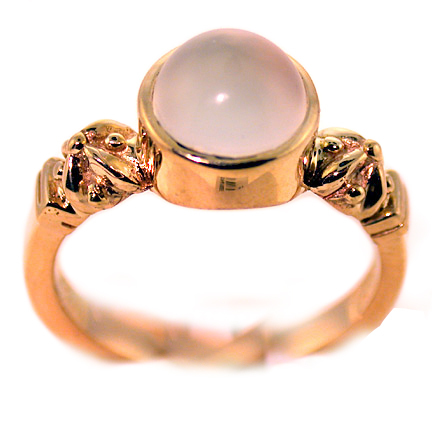 Also available with Opal inlay in place of the Quartz, or with Gold Bearing Quartz, if interested please inquire here.